"Anyone who thinks he can disrupt the daily lives of the residents of the south and not pay a heavy price – is wrong," Netanyahu warns. 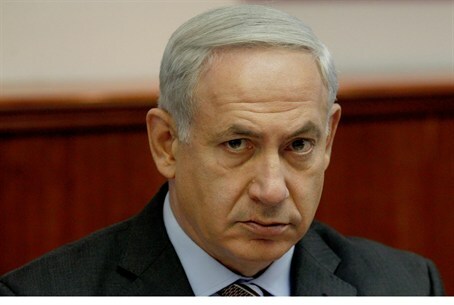 Prime Minister Binyamin Netanyahu threatened Gaza terrorists with “a heavy price” on Tuesday. The comments were made during a meeting between Netanyahu and mayors from southern Israeli communities in Be’er Sheva. “Anyone who thinks he can disrupt the daily lives of the residents of the south and not pay a heavy price – is wrong,” Netanyahu said. "My responsibility as Prime Minister is to choose the right time to charge the highest price, and that is how it will be,” he added. Tuesday was considered a “quiet day” in the south, because only two rockets and missiles were fired throughout the day. One attack was a Grad missile fired early Tuesday morning at the city of Ashdod. The missile missed exploding in populated or industrial areas and caused no physical injuries or damage. Another rocket exploded on Tuesday afternoon in an open area in the Hof Ashkelon Regional Council. There were no physical injuries or damages. The Ashdod attack ended a “ceasefire” declared on Monday night and which lasted a grand total of six hours, from midnight to 6 a.m.
Before his visit to Be’er Sheva, Netanyahu met with his nine senior ministers and they discussed the Israeli response to the shooting from Gaza. The ministers decided that if the quiet is maintained, the IDF would not conduct air strikes in Gaza. However, if terrorists continue to shoot missiles, the Israeli response will be much more powerful than it has been thus far.